Home / Blogging 101 / Blogging 101--> How to keep a blogger post at the top for a desired time? Blogging 101--> How to keep a blogger post at the top for a desired time? 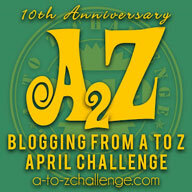 Do you wish to keep a post at the top of your blog and don't know how? Are you still waiting to post the next post because you don't want the previous one to leave its first place? Blogger organizes posts according to their posting times but this can be handled manually by the blogger. In my today's post, I will help you keep your post at the very top. Just follow these very simple steps and you can keep any post, posted anytime, at the very top for any amount of time. Step 1: Log in to Blogger and click on your Blog. Step 2: Click "Posts" on left side of the navigation panel in the window. Step 3: Click on the post you want to keep at the top and Click "Published On" on the right side panel of the post. 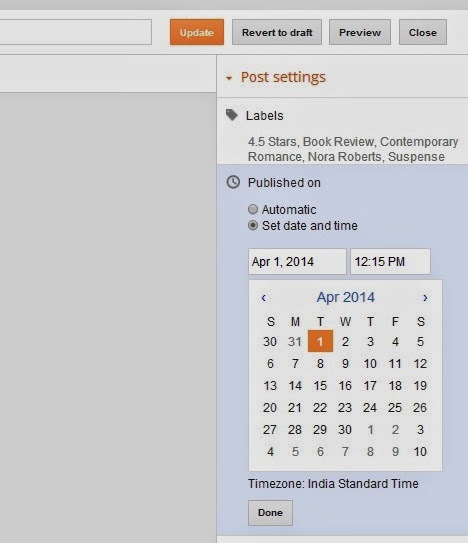 Step 4: Set the date and time to your desired time till you want the post to remain as the top post. Click "Done". Step 5: Click "Update" to update the post and then "Close". Step 6: Goto your blog and check if the post is the first post. Tip 1: If you want to remove the post as the top post then go and change the "Published On" date to either the original date or to a previous date. Tip 2: The post will automatically be removed as the top post if the date and time you have set passes. Change the date to a future date to remedy this. Tip 3: If you want top keep the post as the top post ALWAYS then set the date and time to several years ahead.